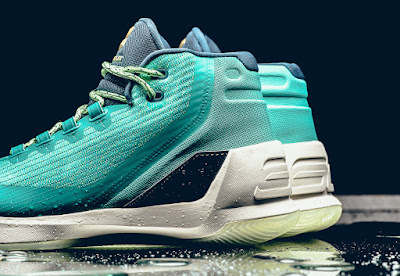 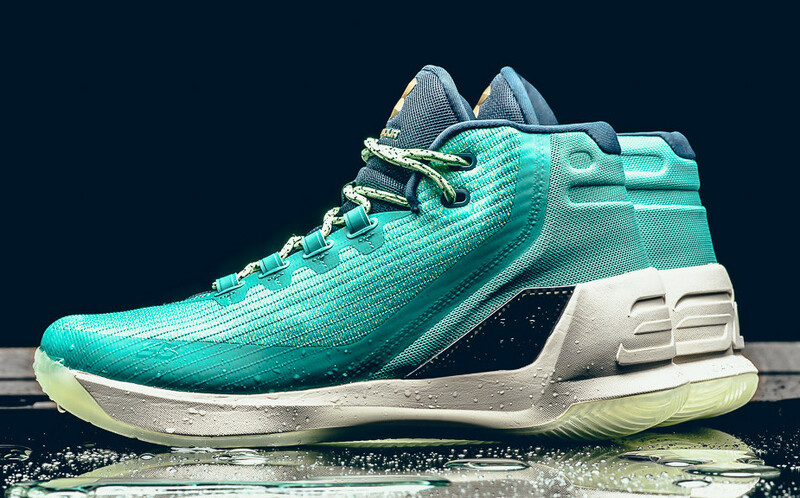 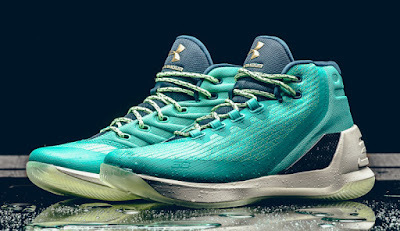 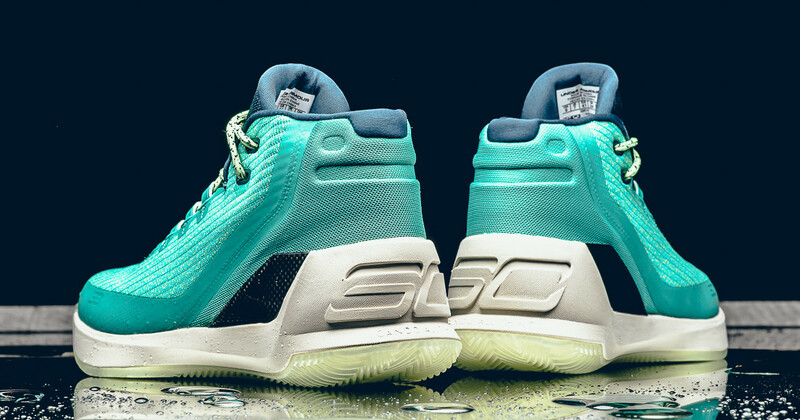 Influenced by his movements as fluid as water, Under Armour will be releasing this colorway of Curry 3. A green hue upper which symbolized clear water which translates Curry's style of play being free-flowing especially during offense where he goes through endless motion either to get open by going through various screens or from an iso play where he creates his own shot. 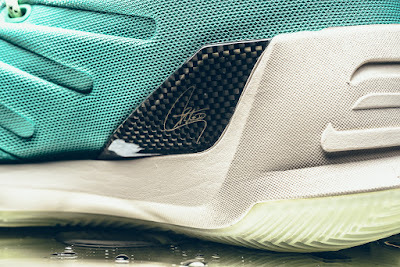 This colorway releases on October 28 for $150 at various retail stores like Sneaker Politics.